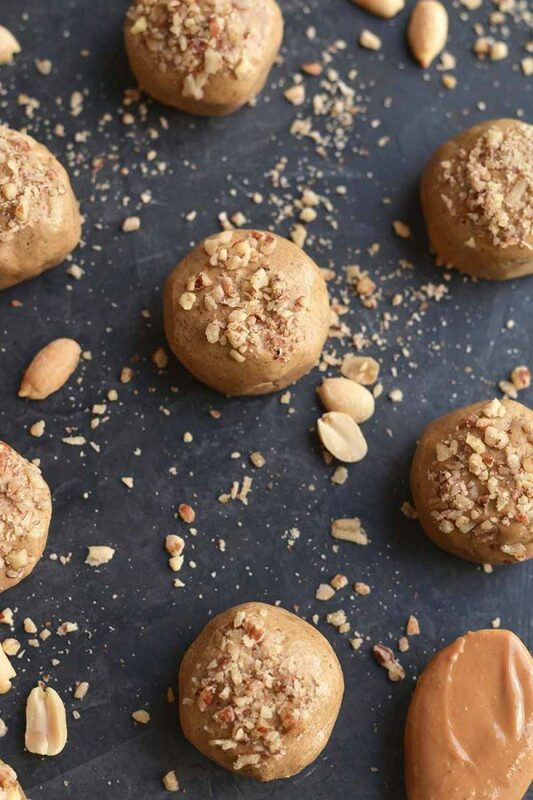 These homemade Peanut Butter Protein Balls are low-carb, no-bake, gluten-free and will keep fresh in the fridge for days. Place the raw peanuts in a blender (I use my NutriBullet) and pulse several times until they become crumbly. Transfer to a plate then set aside. Mix the remaining ingredients together in a bowl until smooth. Roll the dough into 15 1-1.5 inch balls. Roll the balls in the peanut crumbles and transfer them to a baking sheet lined with parchment paper. Place in the refrigerator and let set for at least 20-30 minutes. Keep in the refrigerator or freeze in a sealed container for up to 6 weeks.